How we convinced 20,000 perfectly healthy people to go to the hospital. Opening new facilities is a fact of healthcare life. In the past three years, we've helped our clients open the doors on no less than two ACCs (with a third just getting underway), a medical office building with ER, a handful of primary care clinics and urgent care facilities, and one $500 million hospital. Our advice — always — is to get as many people into these new facilities as possible, so they can form an impression and file away the location well before they need care. 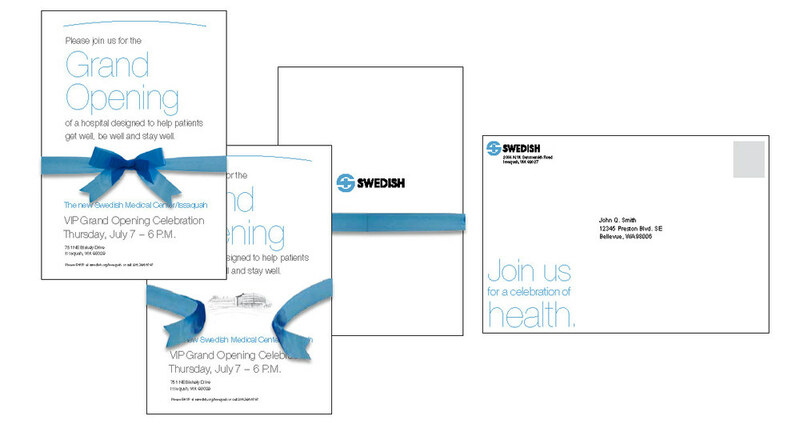 In the case of Swedish/Issaquah, a new hospital in Seattle's eastern suburbs, our goal was to attract at least 10,000 people to the grand opening festivities through advertising that promised a very different hospital experience. Swedish exceeded their goal of attracting 10,000 attendees a bit: more than 20,000 showed up and toured the hospital. More significantly, appointments made the day of the event and beyond gave volume at the new facility a jumpstart. The ED and birth center are both beating projections, while the primary care and several specialty care practices at Swedish/Issaquah are nearing capacity.